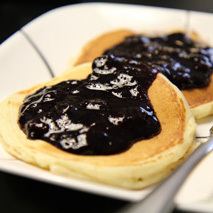 I decided to go with a small batch (the recipe below) as it would be only myself and husband eating. However, you can easily double this recipe and it turns out great! This recipe is super easy and incredibly delicious. Plus, you can use fresh or frozen blueberries, so it can be made all year round! Let's get started. 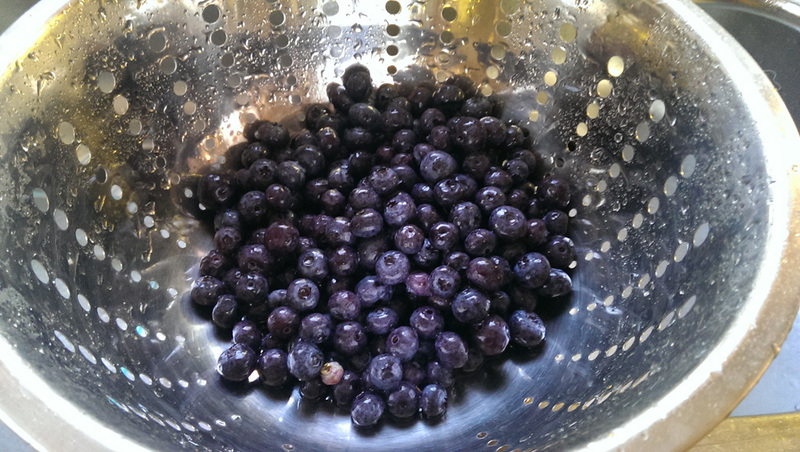 Wash and drain blueberries in a colander. Remove all stems. In a medium saucepan, combine the sugar, cornstarch, salt, cinnamon and water. Stir until mixture is smooth. 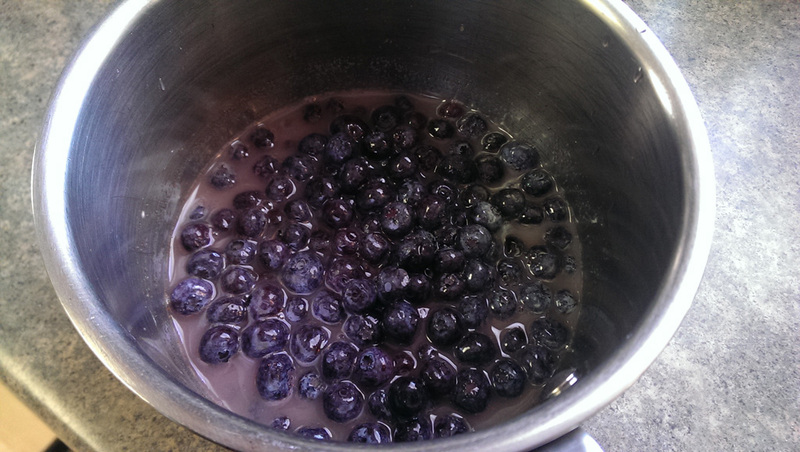 Then add the blueberries. 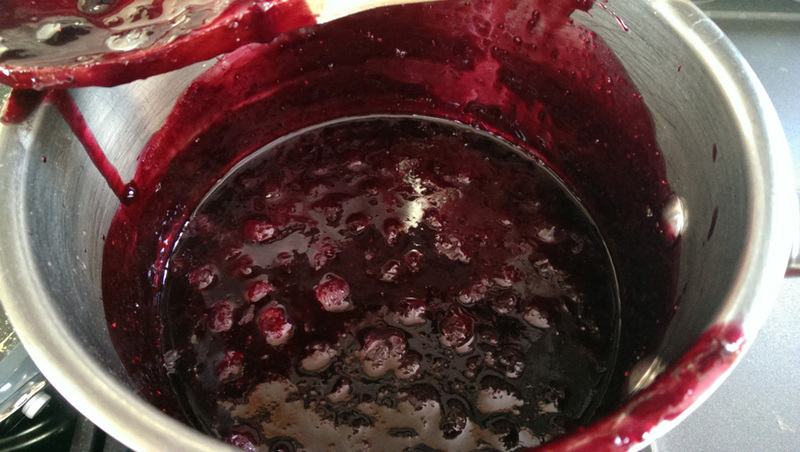 Cook over medium heat for about 15-20 minutes, or until sauce has thickened. Remove from heat and add lemon juice. Stir until well mixed. 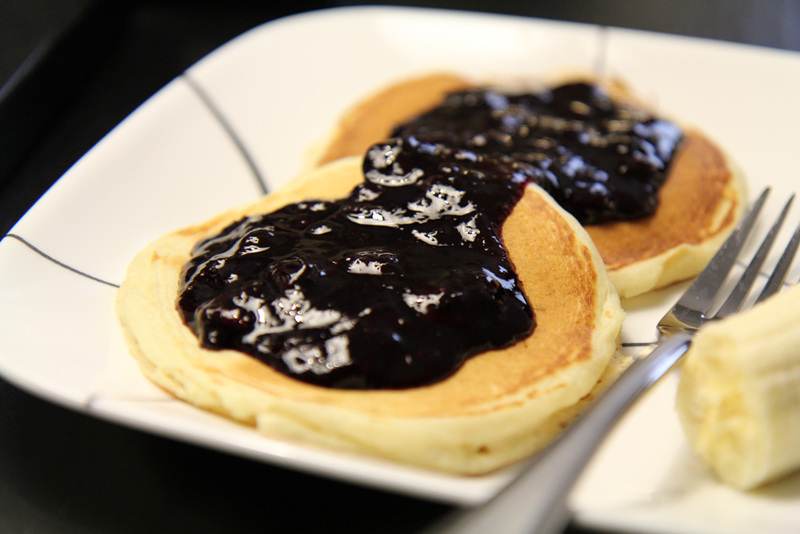 This blueberry sauce goes great with pancakes, waffles, cheesecake, ice cream and more! I hope you enjoy it as much as we do!